It was always likely that the Euroleague 2015 Final Four was going to get off to an explosive start but not too many people would have predicted the game that unfolded between CSKA Moscow and Olympiacos Piraeus. The Russian side had a perfect regular season and then a formidable Top 16 and Playoff period but it just goes to show that you need to be able to be on top form at the climax of the season. There were times when the Russian side looked like the team that has been in commanding form all campaign but at the final buzzer, it was the Greek side that were the winners and who are looking forward to a shot at glory on Sunday. With just four minutes left on the clock, CSKA Moscow had a 9 points advantage and everything was going the way of the team who were the bookmaker’s favourite for the match. At times like this, you need a hero to step forward to rally the troops and change the way it was going. 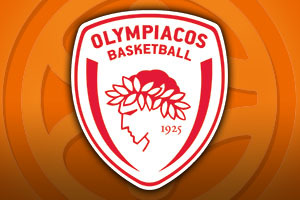 If you know anything about Olympiacos Piraeus, you will not be shocked to learn that it was Vassilis Spanoulis who was at the forefront of the revival and he will be the toast of Greek basketball this evening, and maybe the entire summer if Olympiacos can claim the Euroleague crown. You have to say that the finale from Spanoulis was stunning, especially when you take on board his start to the game. The player actually missed his first 11 shots of the game! To make matters worse, going into the fourth and final quarter, Spanoulis had a performance index rating of -4. At that stage, you may think it is best to cut your losses and hide, but some players realise that they need to step forward and make amends. Spanoulis grabbed 11 points in the fourth quarter, turning the tide and helping Olympiacos to a 68-70 win! Spanoulis is a player for the big occasion; don’t forget he was the Final Four MVP back in 2012 and in 2013, two seasons where Olympiacos achieved Euroleague glory. If you are looking for an omen, both of those years saw Olympiacos defeat CSKA Moscow at the Final Four, and if they go on to win the final on Sunday, this will be another campaign where having the evil eye over the Russian giants paid off in the end. In the end, Spanoulis offered up 13 points, 3 assists and 3 steals, in what was one of the most stunning turnarounds in Euroleague history. The top scorer for the Greek side was Georgios Printezis who grabbed 14 points and 8 rebounds. Kostas Sloukas provided 10 points and Ioannis Papapetrou made his mark from the bench by providing 9 points. The main man for CSKA Moscow was Nando De Colo who offered up 18 points while Sasha Kaun offered 11 points. Aaron Jackson and Sonny Weems both provided 9 points and Jackson set a Final Four record with the 7 steals that he helped himself to. Both of these teams are back in action on Sunday but the mood and atmosphere in both camps will be distinctly different. For CSKA Moscow, there is a chance to come third, but this will feel like scant reward after a tremendous season. For Olympiacos Piraeus, there is another chance to show why they are one of the most lauded and successful teams of modern era Euroleague basketball. They’ll face an almighty challenge on Sunday but after the way they bounced back in this game, you cannot rule out the Greek side.